When it comes to construction, formwork is a pivotal aspect that needs to be heavily considered. It’s a huge part of creating molds for concrete. Construction relies on dependable, sturdy formwork that enables the entire process to go smoothly. With the reusable plastic formwork from BOFU, many construction oriented tasks can be a success. The interlocking, modular systems are usually incorporated into varying structures made with concrete, and they are both large and lightweight. Because of the simple, intuitive nature of this type of formwork, many construction workers prefer using it over the other types of formwork. 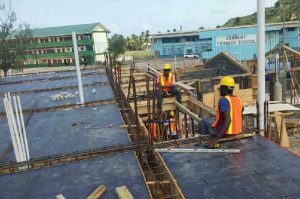 The plastic formwork for concrete building provided by BOFU is incredibly beneficial to an easy, straightforward construction job. The panels are available in a wide array of sizes with the thickness options ranging from 10 centimeters to 40 centimeters. Each panel can be fastened together with fast-locking nylon handles, and there are a multitude of special inner and outer corner additives to ensure each formwork is perfect. The formwork panels are also the most lightweight options available on the market; even the heaviest one can easily be lifted by one person, without the use of any regular equipment. This concrete formwork is durable. The fiberglass material enables the formwork to hold remarkably high pressure under duress. That makes the entire system impeccably strong, capable of withstanding any concrete forms. In addition to being incredibly durable, the formwork is also environmentally friendly. Despite the fact that plastic is not biodegradable, the amount of deforestation that happens because of the construction industry is reduced significantly with these improvements. Additionally, these modules are completely recyclable, which means that the entire formwork can be used over and over again for different structures. The pollution of the environment is reduced considerably. 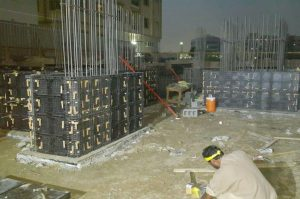 BOFU plastic formwork system for foundation in U.A.E. Because concrete forms are so often used in construction, it is imperative that the process be aided by the best possible product. Concrete will stick to a lot of things, but plastic is not one of them. The panels do not need to be oiled or prepped beforehand, and they are also incredibly easily cleaned with water afterwards. The concrete ends up smooth and steady, not needing any touchups or rework to continue the construction process. 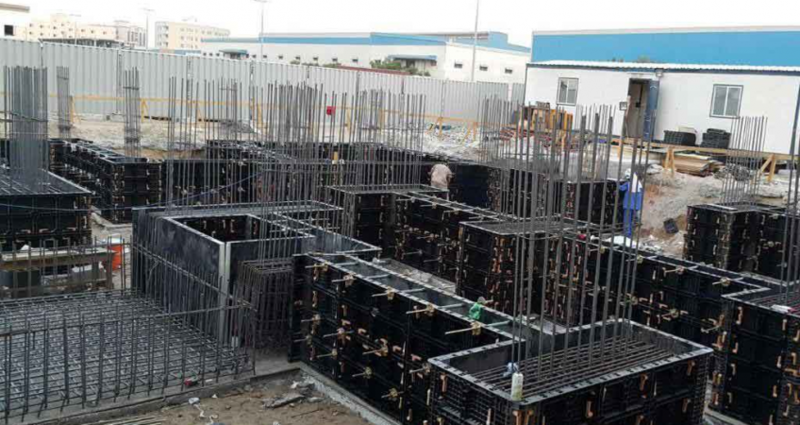 Plastic is the best choice for concrete formwork in the construction industry, and BOFU modular formwork provide the most beneficial option.